Hello! It has been a while since I posted a project. 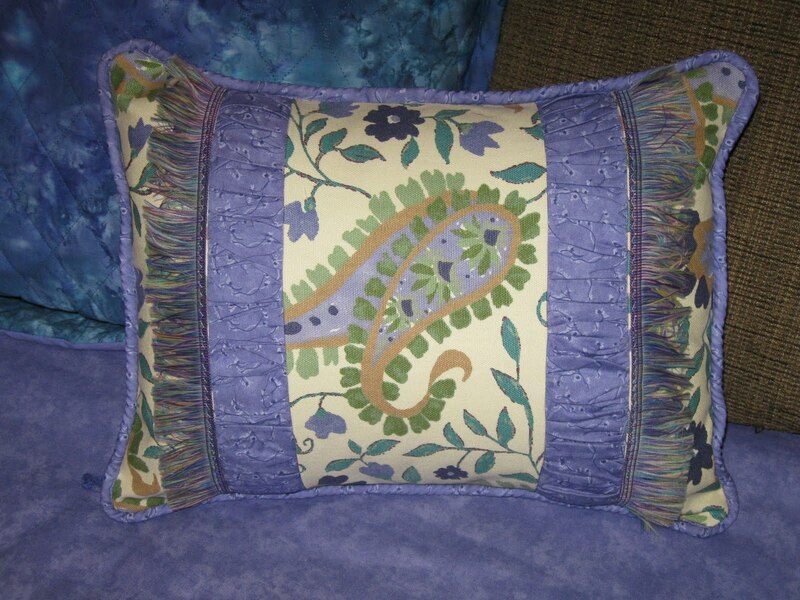 I decided to take some of the scrap material I had left over from the Guest Room project and make a pillow. This is a 16x12 pillow. I made the matching piping, created the shirred inserts and added this fun fringe. I watched a video on You Tube on how to end the piping which was quite helpful. I made the shirred inserts by hand which would have been easier with shirring tape but I was trying not to have to buy much to complete this project. 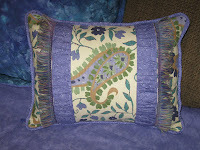 I also learned that you really need to add more than an inch to the final panels to surround the fullness of the pillow. I had added a 1/2" all around, but next time I'll know to add a bit more.